Mumbai are currently placed at the third spot on the IPL points table while Rajasthan are languishing at the seventh position with a solitary win. 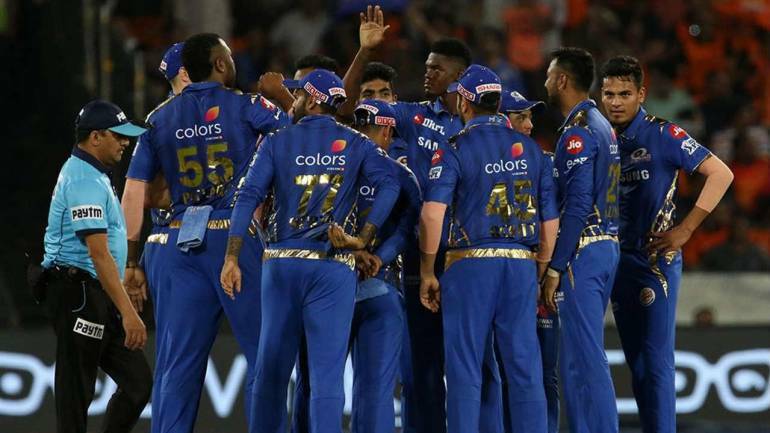 Mumbai Indians (MI) will look to extend their three-match unbeaten run when they welcome the Rajasthan Royals (RR) to the Wankhede Stadium for match 27 of the 2019 Indian Premier League (IPL) on April 13. MI find themselves sitting pretty in the top-four while the Royals who have just one win out of six are second from bottom on the points table. MI come into this game after a thrilling last-ball victory against Kings XI Punjab at home. Riding on the back of KL Rahul's maiden IPL ton (100* off 64) and yet another 'Gaylestorm' (63 off 36), KXIP posted 197/4 on the board. 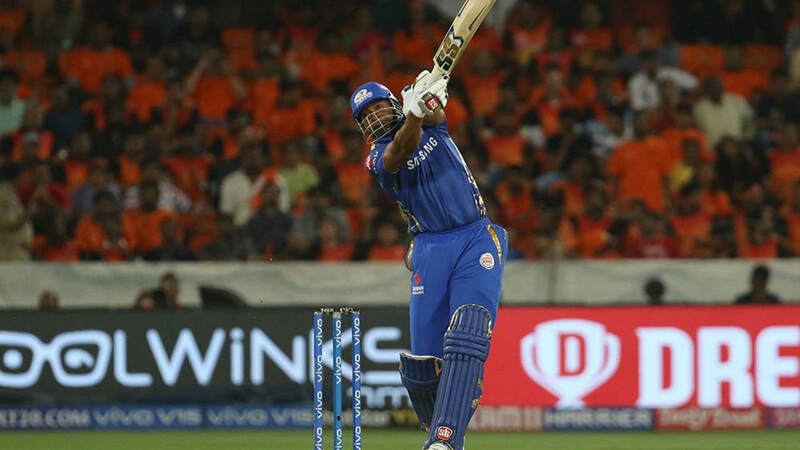 In reply, Mumbai were reduced to 140/6 in the 16th over but an incredible innings by stand-in captain Kieron Pollard (83 off 31) helped them seal a pulsating victory. Rajasthan looked set to seal only their second victory of the IPL when they had Chennai Super Kings (CSK) on the mat reducing them to 24/4 in the 6th over. Rajasthan had earlier posted 151/7 and a brilliant start from their pacers made that look like a daunting target. However, MS Dhoni (58) and Ambati Rayudu (57) stuck in to script another last-ball victory which Mitchell Santner sealed with a six. Three men from the Caribbean will be in focus when these two sides clash at the Wankhede. Pollard and Alzarri Joseph have been lighting up the field for Mumbai while Jofra Archer has been in scintillating form for the Royals. Their form will be crucial in deciding which side comes out on top in this humdinger of a contest. 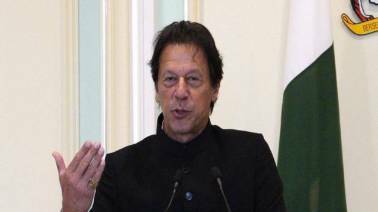 The hosts also have death overs specialist Jasprit Bumrah along with Australian pacer Jason Behrendorff both of whom apart from Joseph, can rip through any good batting line up. Rajasthan would be wary of MI's attack after they were reduced to a 53 for three by CSK last night. None of the batsmen could score a big innings with Ben Stokes emerging as the top-scorer with 28 run. RR's batting line-up, including skipper Ajinkya Rahane, Sanju Samson, Steve Smith and Jos Buttler will need to pull up their socks to confront the Mumbai bowlers at the Wankhede Stadium. English all-rounders Ben Strokes, who was hit for a six by New Zealand's Mitchell Santner to seal the four-wicket win for Chennai, will have to come up with something special with both bat and ball. Venue – Wankhede Stadium, Mumbai. Where to watch – Star Sports 1/1HD/1 Hindi/1HD Hindi/1 Tamil/1 Telugu/1 Kannada/1 Bangla/Select 1/Select 1HD. Online viewers can catch the action live on Hotstar. Head to head: Both teams have played each other on 21 occasions in the past with Mumbai holding the edge with 11 wins as compared to Rajasthan’s nine. One match ended with no result. A leg spasm had forced Rohit to miss an IPL game for the first time in 11 seasons when he sat out against Punjab. Rohit's inclusion will not only put to rest any doubts about his fitness but also boost the Mumbai's batting line-up. Siddhesh Lad will made way if the skipper is deemed fit. Rajasthan will be expected to field an unchanged playing XI. Prediction: Mumbai have been in great form so far and it looks unlikely that Rajasthan will be able to put a halt to their dominant run. The home side will most likely emerge on top unless RR can pull off something special. Other popular bets can be viewed on Oddschecker.com. Wankhede Stadium Pitch Report: The Wankhede track has always been a batter’s paradise with the ball coming onto the ball nicely. The conditions will favour the side batting second as the dew also sets in. 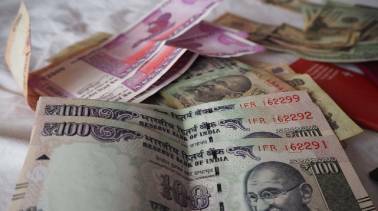 Moneycontrol Dream XI: Quinton de Kock (WK), Jos Buttler, Rohit Sharma (C), Kieron Pollard, Suryakumar Yadav, Hardik Pandya, Krunal Pandya, Jofra Archer, Shreyas Gopal, Jasprit Bumrah and Dhawal Kulkarni. Pollard promoted himself up to no. 4 in the previous game and his performance fully justified his decision as he finished with a stunning 83 off 31 with 3 fours and 10 sixes. It will be interesting to watch which position he comes out to bat with skipper Rohit back in the side. 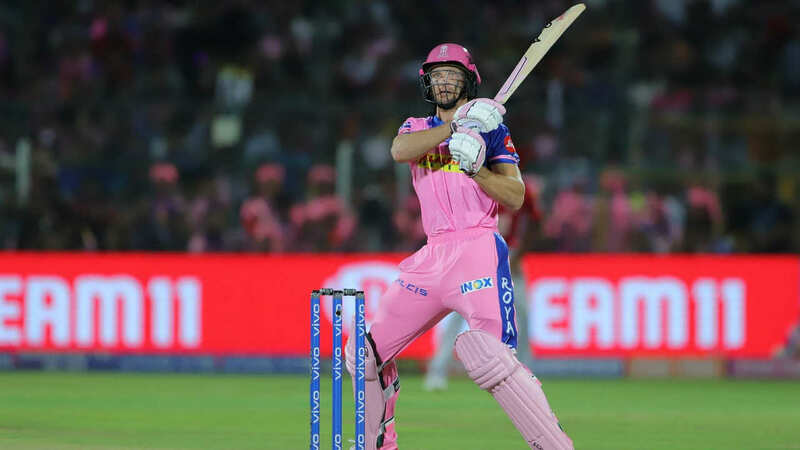 Last season Jos Buttler finished with an unbeaten 94 off just 63 balls at the Wankhede helping Rajasthan chase down Mumbai’s 168 with two overs to spare. The Englishman has been in good form so far but has failed to capitalize on his quick starts and will be eager to register a big knock. IPL points table: Mumbai are currently placed at the third spot with four wins from six matches, while Rajasthan are languishing at the seventh position with a solitary win from six matches. Check out the updated points table here.